Exotic fruit of Asian origin, whose properties stand out for being rich in antioxidants, vitamin C and minerals. Probably his name calls you a lot of attention, and even you have never heard anything about it. 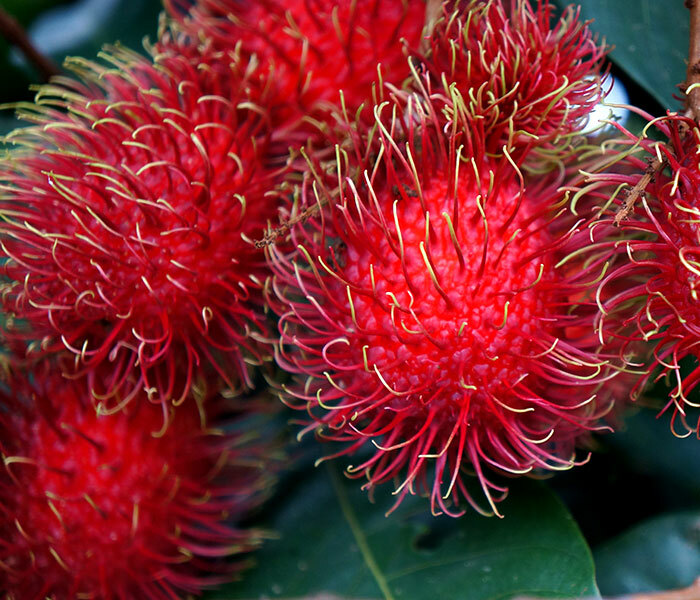 “Rambutan” is commonly called in Costa Rica as “Mamon Chino”. It is characterized mainly by its appearance “hairy” it’s like grapes consistency and sweet taste. Consumption and utilization is very popular in Asian cuisine, where it is common to eat it alone or use as an ingredient in desserts, salads and wonderful juices. Contact us today for more information and try our products. Was founded in 2005. It is a growers association for tropical exotic fruits, aimed at export markets. We are situated in the Southern Zone of Costa Rica.